Last Saturday I was invited to become one of the judge for the live audition for McDonald’s Storytelling Contest in McDonald’s Tebrau City, Johor Bahru. It was such an amazing opportunity as I loveee kids so much! Get to see them personally and telling creative stories are just an amazing experience. Beside me, there are also Pak Nil (Aznil Nawawi) and Teacher Nurul as the panel judge for the live audition. We arrive around 10 am in the morning. All placement have been set up. The place starts to filled with amazing support from the contestant parents and teachers. On that day, 8 selected participants were there. As this is a nationwide tour, all of the shortlisted participants was selected from the hundreds of video entries that they posted in their Instagram with the hashtag #McDStorytelling . Oh yeah, Ronald Mc Donald was there too! He was such a sport and makes the environment much more exciting! The video entries should be put up in their Instagram from 13th Oct - 30th Oct, Then they are selected to the audition and the selected participant in the live audition will be going to the Grand Finale on 3rd December 2016. Date & Time will be notify later when confirmed. 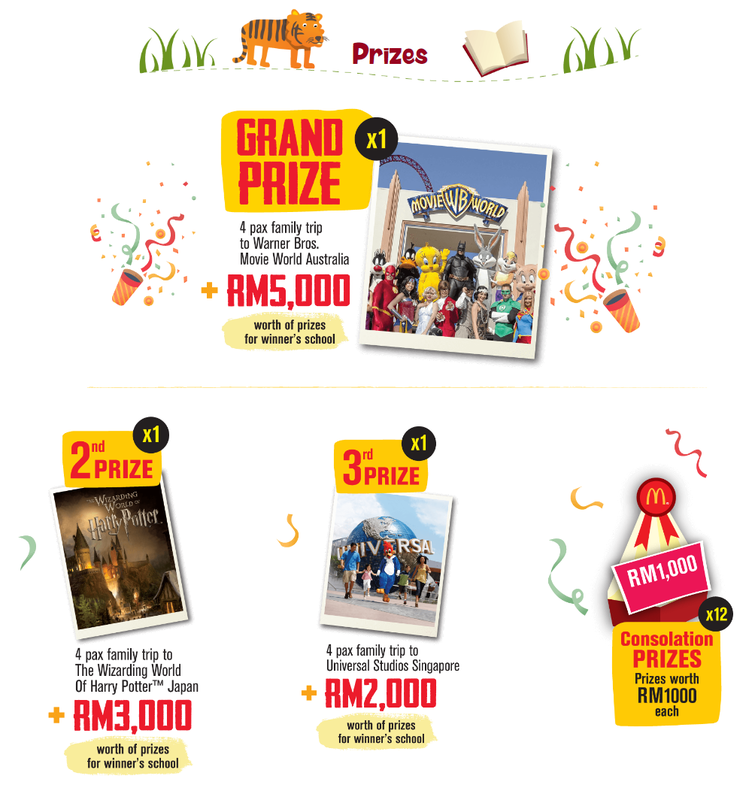 This #McDStorytelling contest offers up to RM70,000.00 worth of prizes to be won! Aaah, I wish I could try my luck but yeah, I am not a kid haha. I love the prizes that they offer! One of them that caught my attention was the Family trip to the Wizarding World of Harry Potter in Japan! Also winner's school will also stand a chance to win some cash prizes. including a family holiday to Warner Bros Movie World theme park in Australia as the grand prize. Here are all of the 8th participant. All of them did a very good job! I am so proud to see such talented kids and full of charisma kids these days. The costume, the body language, the confidence that they gave all in their show was amazing. I have a really fun time listening to their amazing show! 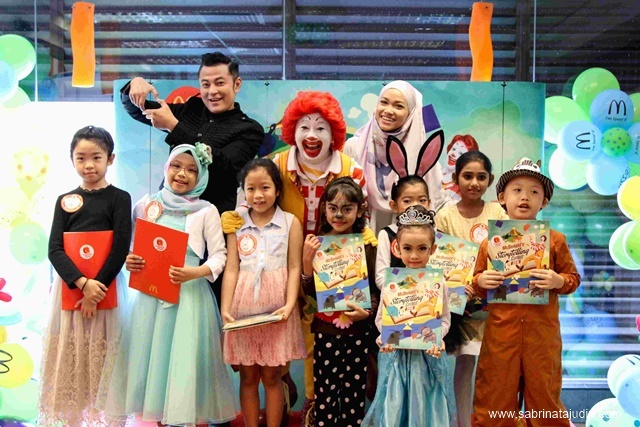 After the live audition, Ronald McDonald put a little fun storytelling show from himself, later the certificate giving ceremony was held and end up with some group photos.